The bay of San Antonio has not only a new club but also an entirely new clubbing concept. ESSIGI takes lovers of electronic music to a whole other level. Formerly known as Summum, the venue now takes a new twist. 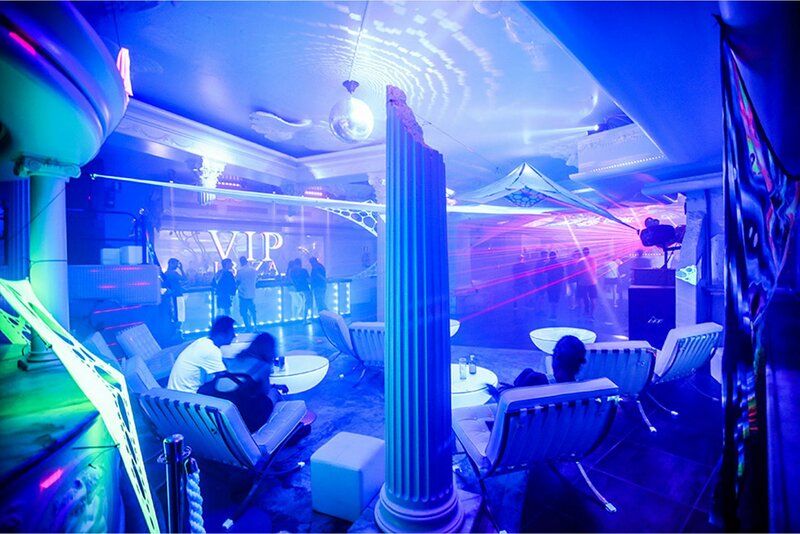 This is a modern visual show attraction and nightclub designed for escaping to other realities. A shaman starts his rituals and opens portals to other worlds, leading the way into a five-hour electronic music journey. Musically, a massive techno-progressive soundtrack is synchronised with high-quality trippy 3D graphics on high-resolution LED screens and a full-colour laser show. The original club brings Discoteca Experience into virtual reality with thousands of LED lights, lasers and special effect. Unique in the world, the experience is designed to take you on a visual journey through stars, galaxies, space and other dimensions. Special effects, animated creatures and rituals create a wondrous trip. The result is an authentic story developed for Ibiza, blending internet memes, science fiction and fantasy movies designed to unlock the secrets of the mind. With 60 shows in five hours, this unique experience runs alongside an electronic music soundtrack produced exclusively for the show without DJs but with a shaman instead. A cyberpunk design and environment complete the sensory adventure together with a premium cocktail bar service.